WASHINGTON — It may not have been his intention, but special counsel Robert Mueller has forced a momentous choice on the Democrats who control the House of Representatives. How they navigate the next several months will matter not only to politics but, more importantly, to whether the rule of law prevails. If we lived in a normal time with a normal president, a normal Republican Party and a normal attorney general, none of this would be so difficult. Mueller’s report is devastating. It portrays a lying, lawless president who pressured aides to obstruct the probe and was happy — “Russia, if you’re listening … ” — to win office with the help of a hostile foreign power. It also, by the way, shows him to be weak and hapless. His aides ignored his orders, and he regularly pandered to a Russian dictator. Mueller’s catalogue of infamy might have led Republicans of another day to say: Enough. But the GOP’s new standard seems to be that a president is great as long as he’s unindicted. And perhaps Mueller did not reckon with an attorney general so eager to become the president’s personal lawyer and chief propagandist. William Barr sat on the document for 27 days and mischaracterized it in his March 24 letter. He mischaracterized it again just an hour before it was released. This leaves Democrats furious — and on their own. Unfortunately, it is not news that this party has a nasty habit of dividing into hostile camps. On the one side, the cautious; on the other side, the aggressive. The prudent ones say that members of the hit-for-the-fences crowd don’t understand the political constraints. The pugnacious ones say their circumspect colleagues are timid sellouts. Sometimes these fights are relatively harmless, but not this time. Holding Trump accountable for behavior that makes Richard Nixon look like George Washington matters, for the present, and for the future. Those demanding impeachment are right to say that Mueller’s report can’t just be filed away and ignored. But being tough and determined is not enough. The House also needs to be sober and responsible. This needle needs to be threaded not just for show, or for narrow electoral reasons. Trump and Barr have begun a battle for the minds and hearts of that small number of Americans who are not already locked into their positions. 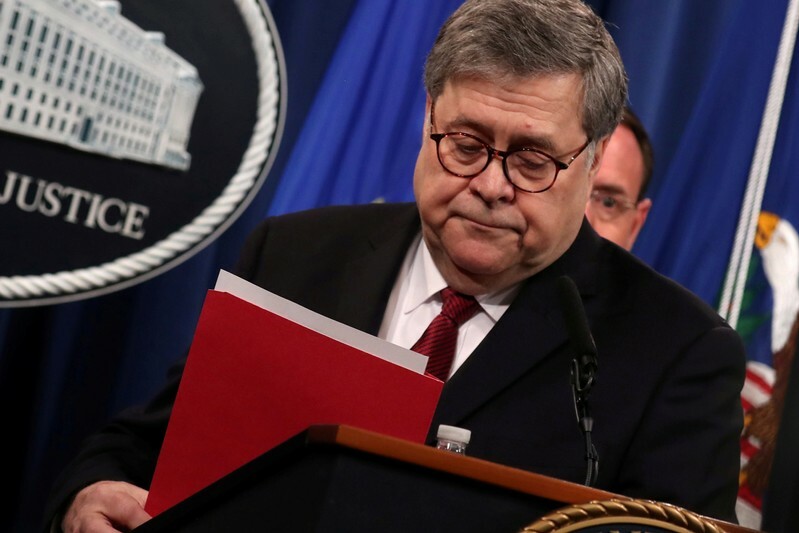 Barr’s calculated sloth in making the report public gave the president and his AG side-kick an opportunity to pre-shape how its findings would be received. The uncommitted now need to see the full horror of what Mueller revealed about this president. A resolute but deliberate approach is more likely to persuade them. When House Speaker Nancy Pelosi joins her caucus on a conference call on Monday, she will reiterate her “one step at a time” strategy. The bottom line is that rushing into impeachment and ruling it out are equally foolish. What this means is that the House Judiciary, Intelligence, and Oversight and Reform Committees should and will begin inquiries immediately. Judiciary Chairman Jerry Nadler took the first step on Friday by subpoenaing the full, unredacted Mueller report. Mueller himself has already been asked to appear before both Judiciary and Intelligence. Nothing is gained by labelling these initial hearings and document-requests as part of an “impeachment” process. But impeachment should remain on the table. Since Trump and Barr will resist all accountability, preserving the right to take formal steps toward impeachment will strengthen the Democrats’ legal arguments that they have a right to information that Trump would prefer to deep six. Of course, Trump is not the only issue in politics. Democratic presidential candidates are already out there focusing on health care, climate, economic justice and political reform. The House can continue other work while the investigators do their jobs. In an ideal world, the corruption and deceitfulness Mueller catalogued would already have Trump flying off to one of his golf resorts for good. But we do not live in such a world. Defending democratic values and republican government requires fearlessness. It also takes patience. 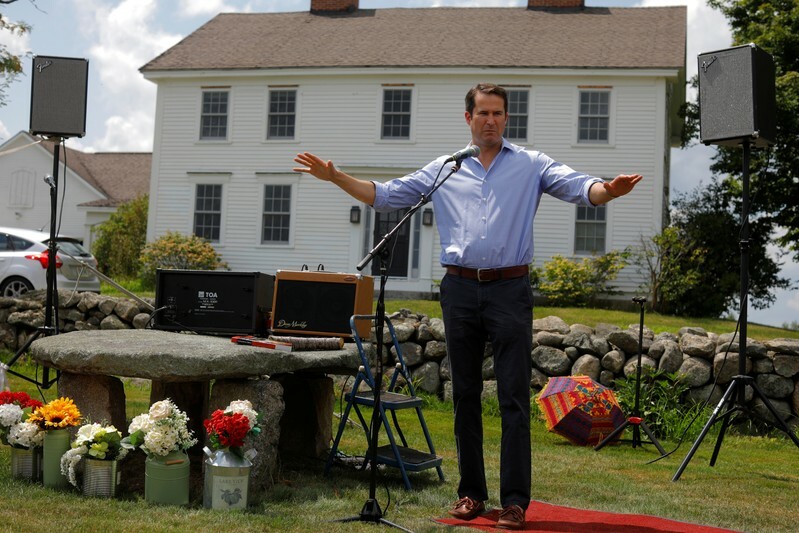 WASHINGTON (Reuters) – Seth Moulton, an Iraq War veteran and Democratic congressman from Massachusetts, entered the 2020 presidential nomination contest on Monday, swelling the ranks of declared contenders to almost 20, according to an NBC news report. He enters the race as an underdog, with little national name recognition and a shorter track record than some of his opponents who have spent years in the U.S. Senate or as state governors. But Moulton, 40, has already built a political career driven by challenging the party’s establishment. First elected to Congress in 2014, he won the seat after mounting a primary challenge against John Tierney, a fellow Democrat who had held the seat for 18 years. After Democrats took control of the U.S. House of Representatives in 2018, Moulton led an unsuccessful effort to remove Nancy Pelosi as the party’s leader in the chamber. “Tough conversations make us stronger, not weaker, and we need to keep having them if we’re going to deliver on the change that we’ve promised the American people,” Moulton said in a statement announcing the end of his opposition to Pelosi. He also has advocated stricter gun laws, saying military-style weapons should not be owned by civilians. Top congressional Democrats left the door open on Sunday to pursue the impeachment of U.S. President Donald Trump, but said they would first need to complete their own investigations into whether he obstructed justice in Special Counsel Robert Mueller’s Russia probe. 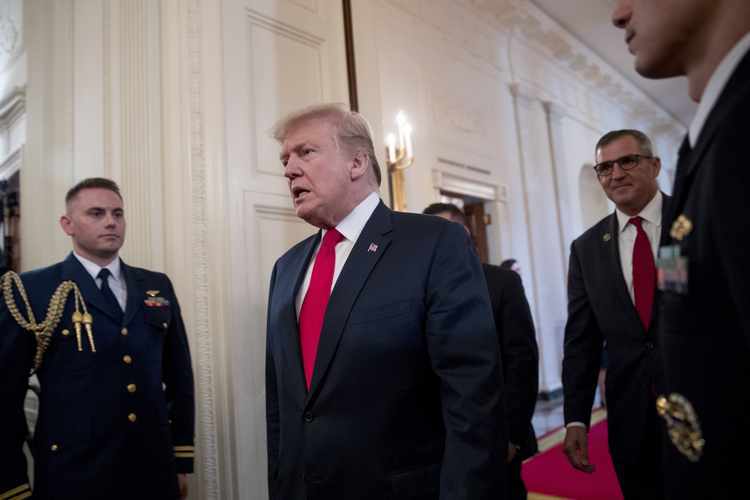 Democratic Party leaders have cautioned against impeachment just 18 months before the 2020 presidential election, although prominent liberals have called for the start of proceedings to remove Trump from office since the release on Thursday of Mueller’s report. A redacted version of Mueller’s long-awaited report on Russian interference in the 2016 election, the product of a 22-month investigation, built a broad case that Trump had committed obstruction of justice. While it stopped short of concluding Trump had committed a crime, it did not exonerate him. Mueller noted that Congress has the power to address whether Trump violated the law, and Democrats said it would be a matter of discussion in the coming weeks. With Republicans standing by Trump, Democratic House Speaker Nancy Pelosi has cautioned against an impeachment effort that would have no chance of success in the Republican-led Senate. U.S. Senator Elizabeth Warren became the first major contender for the Democratic 2020 presidential nomination to call for the start of impeachment proceedings, saying on Twitter on Friday that “the severity of this misconduct” demanded it. Democratic House Oversight Committee Chairman Elijah Cummings said on CBS’s “Face the Nation” that Congress needed to look at Trump’s finances and gauge Mueller’s intentions with his report. Democratic presidential contender Tim Ryan, a member of the House, said the party should wait until the multiple ongoing investigations of Trump in Congress have had a chance to uncover more evidence. Congressional Democrats took legal action on Friday to gain access to all of U.S. Special Counsel Robert Mueller’s evidence from his inquiry into Russian meddling in the 2016 election, as the probe’s findings dented President Donald Trump’s poll ratings. While Mueller ultimately decided not to charge Trump with a crime such as obstruction of justice, he also said the investigation did not exonerate the president, either. “My committee needs and is entitled to the full version of the report and the underlying evidence consistent with past practice. The redactions appear to be significant,” Nadler said in a statement. The report provided extensive details on Trump’s efforts to thwart Mueller’s investigation, giving Democrats plenty of political ammunition against the Republican president but leaving them with no consensus on how to use it. Democratic leaders have played down talk of impeachment of Trump just 18 months before the 2020 presidential election, even as some prominent members of the party’s progressive wing, notably U.S. Representative Alexandria Ocasio-Cortez, promised to push the idea. U.S. Senator Elizabeth Warren became the first major contender for the Democratic 2020 presidential nomination to call for the start of impeachment proceedings, saying on Twitter that “the severity of this misconduct” demanded it. According to the Reuters/Ipsos poll of 1,005 adults conducted Thursday afternoon to Friday morning, 37 percent of people approve of Trump’s performance in office – down from 40 percent in a similar poll conducted on April 15, which matches the lowest level of the year. The poll has a credibility interval, a measure of precision, of 4 percentage points. While most Republicans have stood by Trump, 2012 Republican presidential nominee Mitt Romney, now a U.S. senator from Utah, criticized Trump and those around him as portrayed in the report. Romney, an on-and-off Trump critic, said on Twitter it was “good news” there was insufficient evidence to charge Trump with a crime. “Even so, I am sickened at the extent and pervasiveness of dishonesty and misdirection by individuals in the highest office of the land, including the President,” said Romney, who lost the White House race to President Barack Obama in 2012. House Speaker Nancy Pelosi on Friday declined to comment on whether Congress might launch impeachment proceedings against President Donald Trump, saying it was not appropriate to criticize him while she was abroad, visiting the Irish border. Special Counsel Robert Mueller’s report on his inquiry into Russia’s role in the 2016 U.S. election provided extensive details on Trump’s efforts to thwart the probe, but Democratic party leaders have played down talk of impeachment just 18 months before the 2020 presidential election. “Whatever the issue and challenge that we face, the Congress of the United States will honor its oath of office to protect and defend the constitution of the United States, to protect our democracy,” Pelosi told journalists in Belfast when asked about possible impeachment proceedings. “The legislative branch has a responsibility of oversight of our democracy and we will exercise that,” she said. DUBLIN (Reuters) – An influential U.S. congressman has warned the European Union that any Brexit arrangement that undermines Northern Ireland’s 1998 peace agreement could endanger a proposed EU-U.S. trade deal, the Irish Times reported on Friday. The European Union last week said it was ready to start talks on a trade agreement with the United States and aims to conclude a deal before year-end. 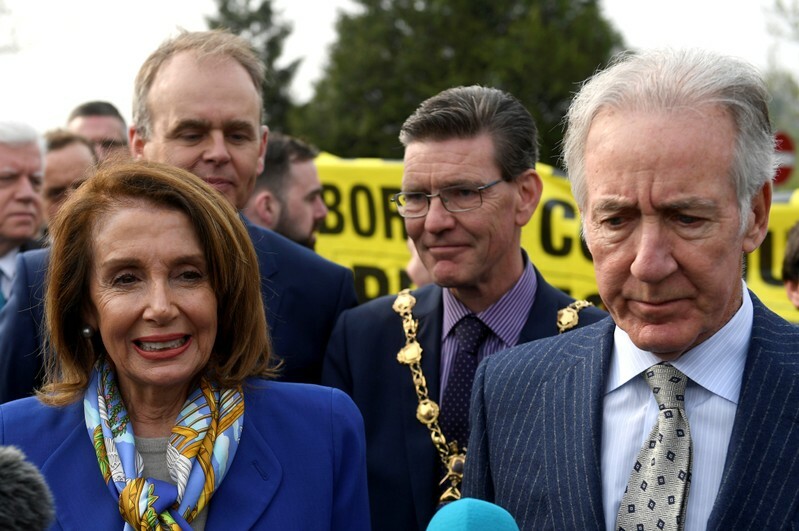 “If America wants a trade agreement with the European Union, which I think is very desirable – I want it – at the same time you are back to the same issue on the border if you do anything that dampens or softens the Good Friday Agreement,” Democratic Congressman Richard Neal was quoted as saying. Neal is visiting Ireland with U.S. House of Representatives Speaker Nancy Pelosi, who on Wednesday said the United States would also not agree to any trade deal with Britain if future Brexit arrangements undermine peace in Ireland, reiterating comments made by the congressman in February. The European Union has insisted it will not accept any British withdrawal agreement that results in any infrastructure on the border between Northern Ireland and Ireland, something that would anger Irish nationalists and could become a target for militants. But some British politicians have called on Brussels to soften this demand to get a deal done. Neal, chairman of the Congressional committee overseeing trade, said any Brexit deal must maintain the sanctity of the peace agreement, the Irish Times reported. How to keep EU-member Ireland’s 500km (350 mile) border with Northern Ireland open after Brexit is proving the most intractable issue in Britain’s tortuous efforts to leave the EU. British Prime Minister Theresa May’s government is in talks with the opposition Labour Party to build support for a Brexit divorce deal that parliament has already rejected three times, potentially delaying the UK’s departure date from the European Union until the end of October. Much of the opposition to May’s deal within her own party is centered on fears that it would not provide a clean enough break to allow the United Kingdom to forge new trade deals around the world, especially with the United States. BELFAST (Reuters) – An off-duty journalist was killed after shots were fired during rioting in the Northern Irish city of Londonderry overnight, in what police on Friday said was likely the work of militant nationalists opposed to the British region’s 1998 peace deal. 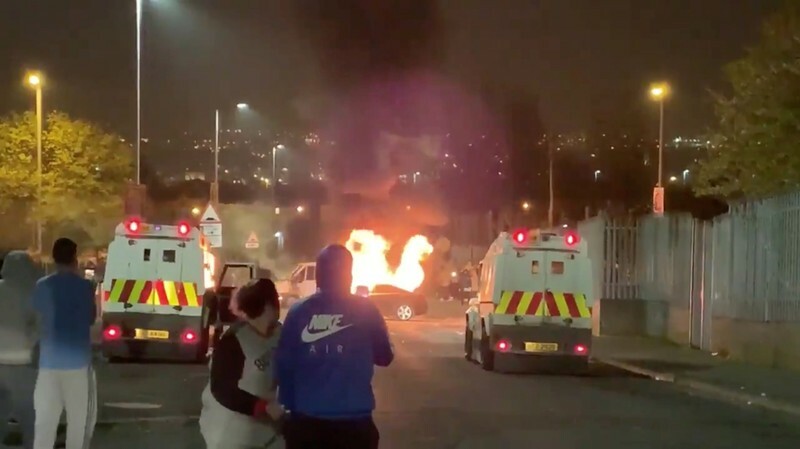 Rioting erupted in the Irish nationalist Creggan area of the city late on Thursday following a raid by police, who said they were trying to prevent militant attacks planned for the weekend. At least 50 petrol bombs were thrown and two cars set on fire. 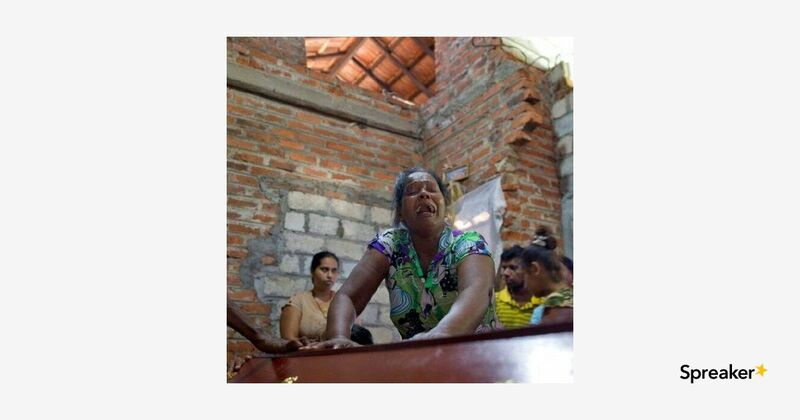 “We believe this to be a terrorist act. We believe this has been carried out by violent dissident republicans,” Hamilton added, saying the New IRA group, which has been responsible for several attacks in recent years, was most likely behind the killing. McKee was writing a book on the disappearance of young people during three decades of sectarian violence in Northern Ireland, which ended with the 1998 Good Friday Agreement peace deal. She was described by publisher Faber as a rising star of investigative journalism. Police said they did not believe she was working at the time of the attack. A local journalist at the scene, Leona O’Neill, wrote on Twitter that after the woman was hit and fell beside a police Land Rover, officers rushed her to hospital, where she died. Videos posted on social media showed police vehicles being pelted with what she said were dozens of petrol bombs, bricks, bottles and fireworks. The detonation of a large car bomb outside a courthouse in Londonderry in January highlighted the threat still posed by militant groups opposed to the Good Friday Agreement, who have previously launched attacks during the Easter period. Politicians in Northern Ireland have also warned that Britain’s plans to leave the European Union could undermine the peace deal and that any border infrastructure would become targets for militant groups. U.S. House of Representatives Speaker Nancy Pelosi led a congressional delegation to the city earlier on Thursday, as part of a trip to show support for the peace agreement politicians in Washington helped to broker. The leaders of Northern Ireland’s two largest political parties, the Irish nationalist Sinn Fein party and pro-British Democratic Unionist Party (DUP), both condemned the killing. “Those who brought guns onto our streets in the 70s, 80s & 90s were wrong. It is equally wrong in 2019. No one wants to go back,” the DUP’s Arlene Foster said on Twitter. Britain’s Secretary of State for Northern Ireland Karen Bradley said she was “deeply shocked and saddened” by McKee’s death.